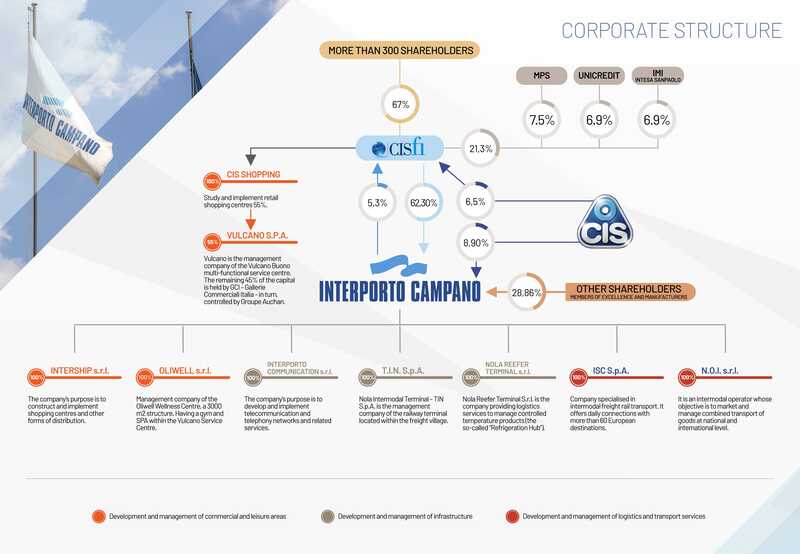 Società Interporto Campano S.p.A, was set up in 1987 and has a share capital of € 33,536,070.36. Investors include CISFI (which has a 62% stake) and prominent shareholders, including leading banks and construction companies. 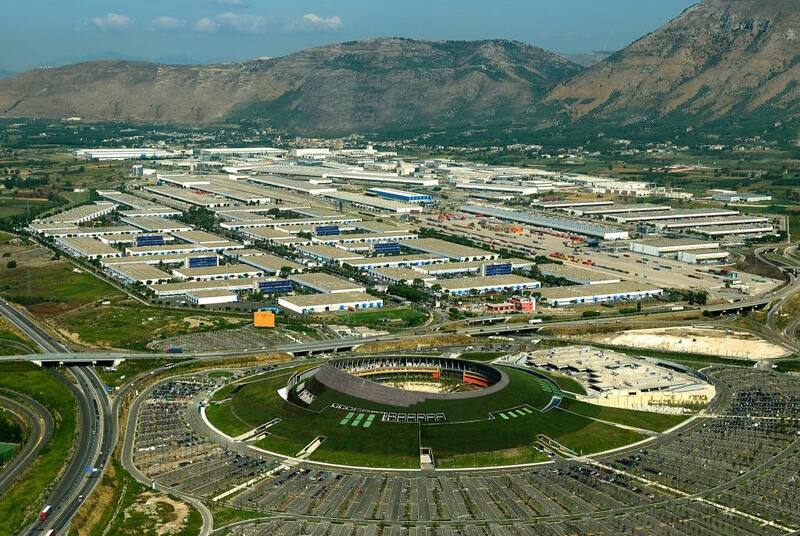 In addition to real estate, Interporto Campano S.p.A. deals with additional business areas in the logistics, transport and services sector by controlling or holding stakes in specialist companies. 100% of T.I.N. S.p.A. (Terminal Intermodale Nola), which manages the intermodal terminal in the freight village. 100% of freight railway operator I.S.C. S.p.A., Interporto Servizi Cargo. 100% of intermodal operator N.O.I. S.r.l., Nuovo Operatore Intermodale. 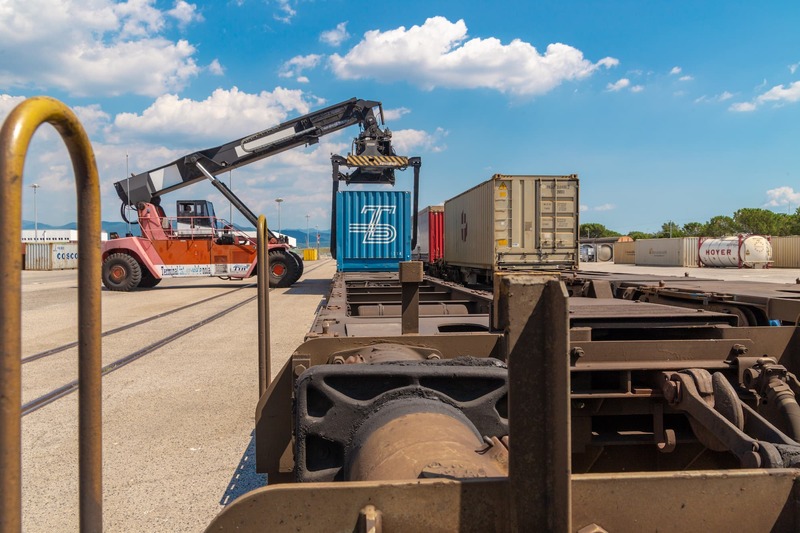 100% of Nola Reefer Terminal S.r.l., a company providing logistics services to manage controlled temperature freight. ◎ storage, transport and handling of loading units. ◎ maintenance/repair and cleaning of swap bodies and containers. 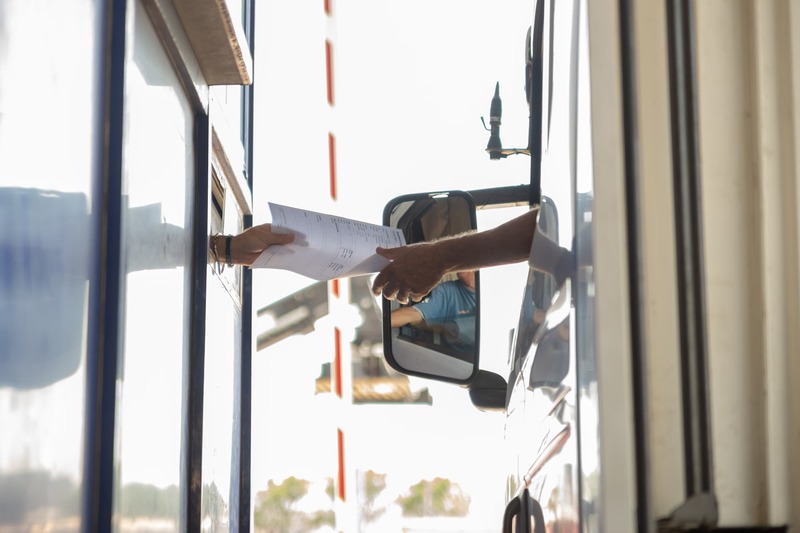 Intermodal operator managing, promoting and marketing combined road-rail freight transport. It provides 14 daily services to different national (7) and European (51) destinations. It manages a 100,000 m3 refrigerating system called Polo del Freddo, to store and distribute deep-frozen, fresh and frozen products for retailers of any size. It contains multipurpose cells of various siSEZ at controlled temperature from 0° to -30° and a large refrigerated platform at +5°.